Tomato Rasam is a poplular south Indian stew. It is also known as tomato chaaru in Andhra and cooked daily as a part of meal in all over South India. Being a South Indian and growing up in that environment this version was my favorite. Rasam goes great with the dal and rice. Its wonderful sour and spicy taste is liked by everyone. 1. Blanch tomatoes in hot water, take out the skin and mash or grind the pulp. 2 .Pressure cook the dal mash it into a paste. 3. Add water to the pulp, salt, rasam powder and jaggery(optional) and mash well. 4. Powder Pepper,Jeera, garlic coarsely. 5. For tempering, heat oil, add mustard seeds, jeera ,curry leaves, once they crackle add powdered pepper, jeera, garlic and hing. Fry little and add it to the tomato rasam. 6. Boil well for 5-10 minutes, add coriander leaves. 7. Serve hot as a soup or with steaming hot plain rice and papads. 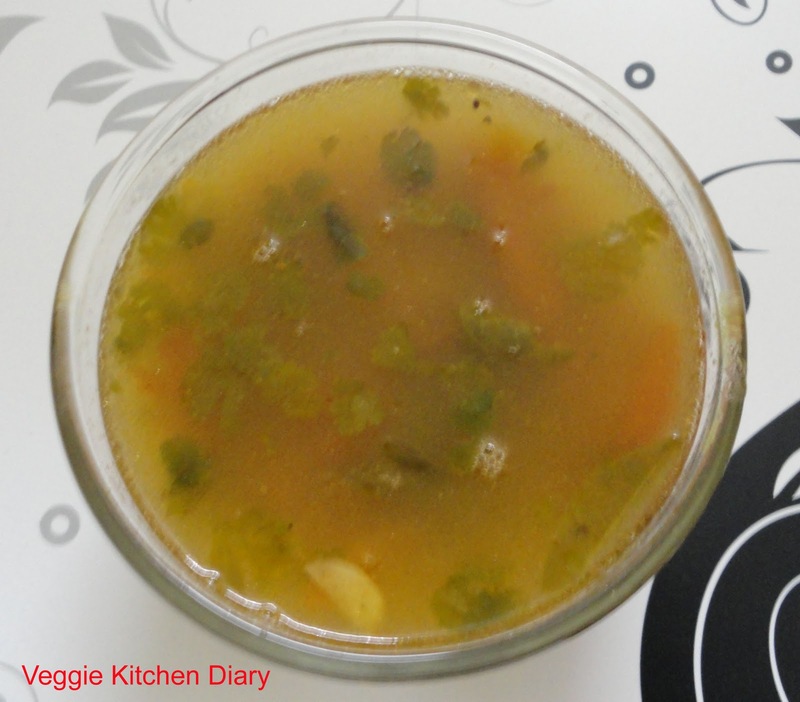 A dash of ghee in the rasam before serving will enhance the taste.